Think of this as a free sample. If someone is going to subscribe to your show, they need to hear it first. This is why there is a guy with the chicken on a toothpick at the mall. It is the teaser, the free sample of your podcast with no commitment to buy. I'm not making this up. I just read an article in Pod to Pod, and I read a story about a podcaster that might have a good “Because of My Podcast” story. There wasn't any contact button at the top, bottom, left, or right side of the screen. It wasn't on the about page, it wasn't there. The only way to contact the person was via twitter. Being somewhat of a geek, I pulled up his RSS feed and dug through the code to find it. Realize, nobody is going to dig through your RSS feed to get your email address. Make your contact button easy to find, and don't get cute and name it something like “Let's get coffee.” Be sure to test your button/page to make sure you get the messages from your website. There are two answers here. If your website is primarily the home of your podcast then the first paragraph should be about the show. If your website is the home of your brand (products, press, etc) then the first paragraph should be about the host. Then a second paragraph about the show. In my travels, the about page is one of the pages that receive the most traffic. If you've been podcasting for a bit and have some reviews, take some of the phrases used by your audience and use it in your about page (use the native tongue of your audience). Don't just make a subscribe page, but add directions with screenshots. You could even do a quick presentation on YouTube Live on how to subscribe to your show, and then send people to the video on YouTube. There is more power in subscriptions than reviews. I've heard reports from one person or another. Anything on the internet that is repeated enough becomes an undeniable fact. 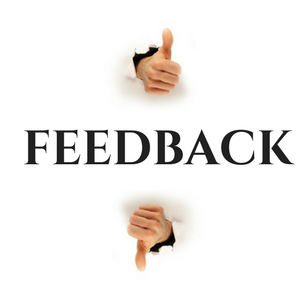 With this in mind, I always stay open to new feedback. I always consider the source and always allow new ideas to challenge my beliefs. If I'm going to believe something, it is typically based on things I believe to be facts. Beliefs are based on input and your ideas and feelings (your feelings can skew the input). Actions are based on beliefs. Beliefs are based on perceived facts. Facts are based on input into your brain. For example, I don't like coconut. Any candy bar with coconut, I'm not a fan. The one day someone handed me a drink. I wasn't sure what it was, it was supposed to some drink better than soda. It was white. It turned out it was some sort of vanilla coconut mix. I have input. I now can say, I don't like something that is predominantly coconut, but I don't mind it mixed with vanilla. You have to be open to someone challenging a belief (I don't like coconut) and taking a look at the other side of the story (having a sip). Then allowing that information to influence your beliefs, which then influence your actions. He states, ” At the time of writing, episode one has 6,978 downloads, episode two 6,161, and episode three 2,295. So 37% of listeners followed the podcast from episode two to episode three. Their genre may fit a wider audience than yours. If you don't make New and Noteworthy, your life is not over. iTunes/Apple Podcasts is a directory, a phone book if you will. It is a central location where people can put in the full name of your show and do a search. A player on a website is more suitable for “introducing” someone to your podcast – not necessarily for long-term consumption. Introduce on your site, lead them to subscribe on a mobile app on your actual show. Promote your website to cold and luke-warm traffic, like ad traffic and social-spraying content marketing, so you can cookie/pixel them for later retargeting, promote your brand, show them your face, maybe connect with them with a personable video, offer them your lead-magnet and get them to maybe give your their email id, etc etc. But once they're on your list, promote Apple Podcast and Stitcher and Google Play links to those already on your “list”, because they don't need to be “convinced” or “converted” anymore about the value that you provide. Here is a link to the Facebook Post. He shows how he is getting thousands of new plays on different websites. When you launch with more than one episode, the additional episodes do not download automatically. While you should focus on generating buzz when you launch, a podcast is a marathon and not a sprint. If you record 25 episodes and find out at episode two that people hate your super jumbo deluxe lightning round, they have to sit through 23 episodes (unless you go back and edit them) until you put out a “new” episode with the changes. You might pre-fade. What I mean by this is you never make it to episode 25 because you aren't seeing the downloads, getting any feedback, and so you quit before you ever launch. People will need to go and download your earlier episodes. By default, they will download your latest episode, and then manually download 1-24. You maybe have found your voice by episode 25, and with episode 26 you sound more confident, organized and professional. Maybe it's not such a bad idea. If you can't come up with 25 episodes, maybe you shouldn't be podcasting? Instead of putting all your 25 episodes out at the same time, release your episodes (one at a time) to your website, and to your feed. However, don't submit your show to any directories like iTunes/Apple Podcasts, Stitcher, TuneIn, Google Play music just yet. You can tell your friends if you want, but any traffic will come from people searching for your content via search engines. You might also use Facebook to assemble a “Focus Group” and ask people for feed. I have two questions for you to chime in on. What is your ONE favorite podcast and WHY? (please email that by 11/20 with the email subject line “my favorite podcast is 2017”).This will be used in our Year End “My favorite Podcast is” episode. 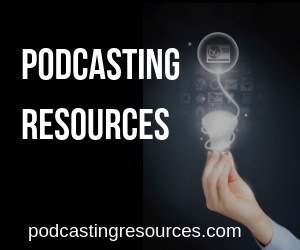 Ready To Plan, Launch and Grow Your Podcast Now?